Hard science fiction is a category of science fiction characterized by an emphasis on scientific accuracy, technical detail, or both. The term was first used in print in 1957 by P. Schuyler Miller in a review of John W. Campbell, Jr.'s Islands of Space in Astounding Science Fiction. 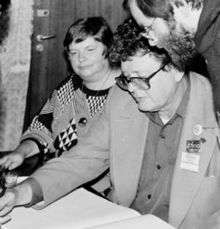 The complementary term soft science fiction, formed by analogy to hard science fiction, first appeared in the late 1970s. The term is formed by analogy to the popular distinction between the "hard" (natural) and "soft" (social) sciences. Science fiction critic Gary Westfahl argues that neither term is part of a rigorous taxonomy; instead they are approximate ways of characterizing stories that reviewers and commentators have found useful. Stories revolving around scientific and technical consistency were written as early as the 1870s with the publication of Jules Verne's Twenty Thousand Leagues Under the Sea in 1870 and Around the World in Eighty Days in 1873, among other stories. The attention to detail in Verne's work became an inspiration for many future scientists and explorers, although Verne himself denied writing as a scientist or seriously predicting machines and technology of the future. Today, the term "soft science fiction" is also often used to refer to science fiction stories which lack any scientific focus or rigorous adherence to known science. The categorization "hard science fiction" represents a position on a broad continuum—ranging from "softer" to "harder". The heart of the "hard SF" designation is the relationship of the science content and attitude to the rest of the narrative, and (for some readers, at least) the "hardness" or rigor of the science itself. One requirement for hard SF is procedural or intentional: a story should try to be accurate, logical, credible and rigorous in its use of current scientific and technical knowledge about which technology, phenomena, scenarios and situations that are practically and/or theoretically possible. For example, the development of concrete proposals for spaceships, space stations, space missions, and a US space program in the 1950s and 1960s influenced a widespread proliferation of "hard" space stories. Later discoveries do not necessarily invalidate the label of hard SF, as evidenced by P. Schuyler Miller, who called Arthur C. Clarke's 1961 novel A Fall of Moondust hard SF, and the designation remains valid even though a crucial plot element, the existence of deep pockets of "moondust" in lunar craters, is now known to be incorrect. There is a degree of flexibility in how far from "real science" a story can stray before it leaves the realm of hard SF. Some authors scrupulously avoid such technology as faster-than-light travel, while others accept such notions (sometimes referred to as "enabling devices", since they allow the story to take place) but focus on realistically depicting the worlds that such a technology might make possible. In this view, a story's scientific "hardness" is less a matter of the absolute accuracy of the science content than of the rigor and consistency with which the various ideas and possibilities are worked out. Readers of "hard SF" often try to find inaccuracies in stories, a process which Gary Westfahl says writers call "the game". 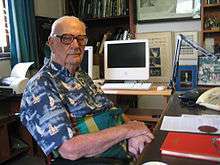 For example, a group at MIT concluded that the planet Mesklin in Hal Clement's 1953 novel Mission of Gravity would have had a sharp edge at the equator, and a Florida high-school class calculated that in Larry Niven's 1970 novel Ringworld the topsoil would have slid into the seas in a few thousand years. The same book famously featured a devastating inaccuracy: the eponymous Ringworld is not (in) a stable orbit and would crash into the sun without active stabilization. Niven fixed these errors in his sequel The Ringworld Engineers, and noted them in the foreword. How the film accounts for weightlessness in space. How the film depicts sound despite the vacuum of space. Whether telecommunications are instant or are limited by the speed of light. Catherine Asaro, author of Primary Inversion. 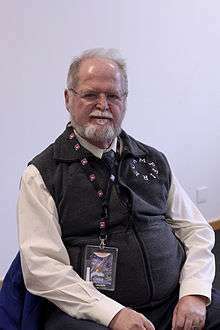 Larry Niven, author of Ringworld, "Inconstant Moon", "The Hole Man" and others. ↑ Nicholls, Peter (1993). "Hard SF". In Clute, John; Nicholls, Peter. The Encyclopedia of Science Fiction. ↑ Wolfe, Gary K. (1986). "Hard Science Fiction". Critical Terms for Science Fiction and Fantasy: A Glossary and Guide to Scholarship. ↑ Hartwell, David G.; Cramer, Kathryn (2002). "Introduction: New People, New Places, New Politics". The Hard SF Renaissance. New York: Tor. ISBN 0-312-87635-1. 1 2 3 Westfahl, Gary (2008-06-09). "Hard Science Fiction". In Seed, David. A Companion to Science Fiction. Malden, MA: Blackwell Pub. pp. 195–198. ISBN 9781405112185. Retrieved 2013-02-04. ↑ Samuelson, David N. (July 1993). "Modes of Extrapolation: The Formulas of Hard Science Fiction". Science Fiction Studies. 20. part 2 (60). Retrieved 2007-10-07. ↑ Westfahl, Gary (July 1993). "The Closely Reasoned Technological Story: The Critical History of Hard Science Fiction". Science Fiction Studies. 20 (2): 141–142. 1 2 Westfahl, G. (July 1993). "'The Closely Reasoned Technological Story': The Critical History of Hard Science Fiction". Science Fiction Studies. SF-TH Inc. 20 (2): 157–175. JSTOR 4240246. ↑ Chiang, T. (April 15, 2009). "Time travel is one of the trickiest SF/F tropes to use well". Retrieved 2009-04-28. 1 2 3 4 5 6 7 Hartwell, David G.; Cramer, Kathryn, eds. (1994). The Ascent of Wonder: The Evolution of Hard SF. New York: Published by Tom Doherty Associates, Inc. ISBN 978-0-312-85509-3. 1 2 3 Hartwell, David G.; Cramer, Kathryn (2002). The Hard SF Renaissance. New York: Tor. ISBN 0-312-87635-1. ↑ Aylott, Chris. "The Humans Were Flat but the Cheela Were Charming in 'Dragon's Egg'". Retrieved 2009-01-27. Some editions also include a preface by Larry Niven, admitting that "I couldn't have written it; it required too much real physics"
↑ Alyott, Chris (2000-06-20). "The Vanishing Martian". SPACE.com. Archived from the original on 2000-08-18. Retrieved 2008-07-20. ↑ Horton, Richard R. (1997-02-21). "Blue Mars review". Retrieved 2008-07-20. ↑ "Andy Weir, "The Martian" (Crown, 2014)". 6 September 2014. 1 2 3 4 5 6 7 8 9 "Contemplate Your Place in the Universe with Hard Sci-Fi Film Classics!". 17 November 2014. ↑ "23 Best Hard Science Fiction Books - The Best Science Fiction Books". 28 February 2015. Westfahl, Gary (1996-02-28). Cosmic Engineers: A Study of Hard Science Fiction (Contributions to the Study of Science Fiction and Fantasy). Greenwood Press. ISBN 0-313-29727-4. David N. Samuelson, "Hard SF", pp. 194–200, The Routledge Companion to Science Fiction, 2009. "Low-Level Science fiction: Sci-fi with hard science and a literary slant"